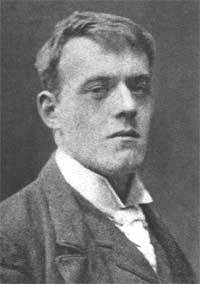 Hilaire Belloc (1870 - 1953) was born in France to a French attorney and an English feminist writer. The family moved to England while Hilaire was still a toddler. A friend of sci-fi writer H. G. Wells and playwright George Bernard Shaw, Hilaire was a devout Catholic and successful journalist who also wrote inspirational poetry, cautionary tales, nonfiction, and children's verse, authoring more than 150 books during his lifetime. Considered one of the brilliant thinkers of the 20th century, his essays and observations on history remain in great esteem even today. Ah - those of us who have lost, or misplaced, or fairylands need prayers! Delightful read. I have not lost my fairy lands! "The Massive Paws of Elder Persons" is nifty. Lyrical and sweet. Fun to read.